Karate is an official Tom Newby School activity that is outsourced to a privately run club. Sensei Takis Chaniotakos trains budding Bruce Lees and Leesas (Grade 1-7) at his Shotokan Karate School located in Boksburg. Practise and competition times vary depending on the level of participation. Tom Newby School is not directly involved in training or competitions or with transporting students to and from the dojo or competitions. 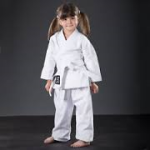 Shotokan Karate School charges fees directly to the parents and additional expenses may be incurred for karate clothing and equipment.